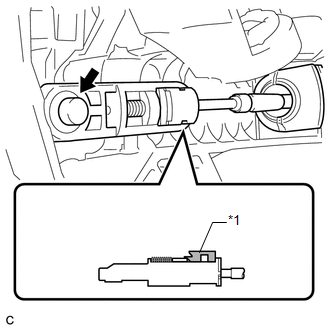 (a) When moving the lever from P to R with the ignition switch ON and the brake pedal depressed, make sure that the shift lever moves smoothly and moves correctly into position. 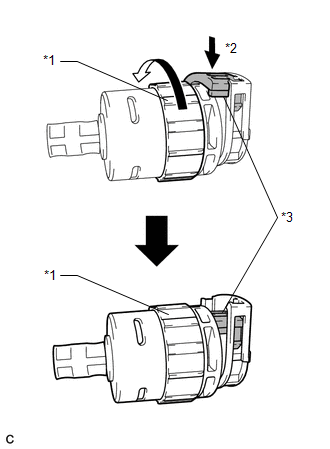 (b) Start the engine and make sure that the vehicle moves forward when moving the shift lever from N to D and moves rearward when moving the shift lever to R.
(a) Apply the parking brake and move the shift lever to N.
(b) Remove the console box sub-assembly (See page ). (c) Disconnect the 2 connectors. (d) Remove the 4 nuts and shift lever assembly. (e) Disconnect the end of the transmission control cable assembly from the shift lever assembly. (f) Turn the lock nut counterclockwise. 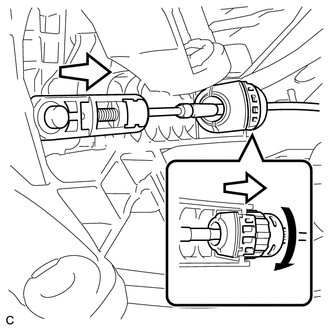 While holding the lock nut, disconnect the transmission control cable from the shift lever retainer. (g) Slide the slider of the transmission control cable in the direction indicated by the arrow and pull the lock piece outward. 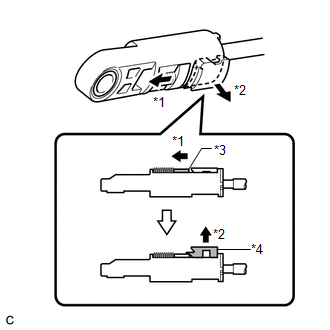 (h) Turn the lock nut of the transmission control cable counterclockwise. While holding the lock nut, push in the stopper. (i) Connect the outer part of the transmission control cable to the shift lever retainer. 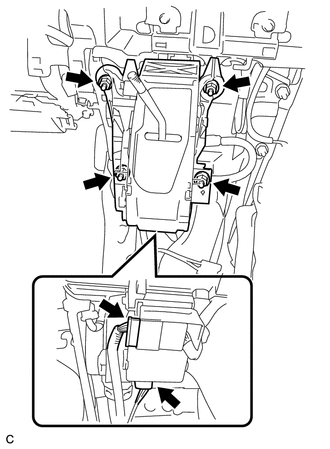 (j) Install the transmission control cable end to the shift lever assembly. (k) Install the shift lever assembly with the 4 nuts. (l) Connect the 2 connectors. 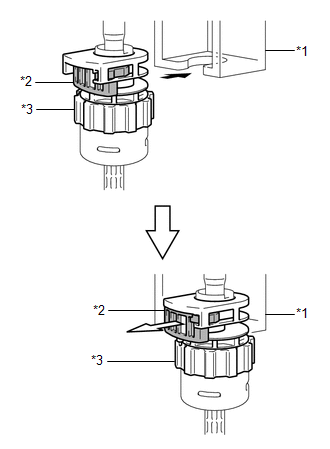 (m) Push the lock piece into the adjuster case. Securely press in the lock piece until it locks. 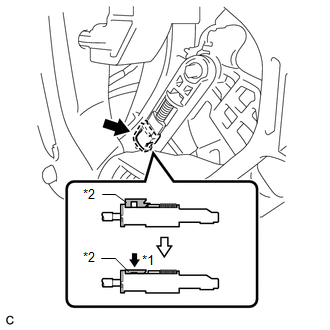 (n) After adjusting the shift lever position, check the operation and function of the shift lever. If there is a problem, adjust the position again. (o) Install the console box sub-assembly (See page ).